Food Culture, News and Stories... One bite at a time. Having a small kitchen is not easy, but I'm used to it. I think our last kitchen was probably only 8x10 feet with no room for a table, only a chopping block that now doubles as a workbench in our garage. Our new (or new-ish) kitchen is a galley kitchen, with barely room to turn around in but an open bar top counter to socialize over whilst whipping up foods. Thank goodness for the laundry room, which serves as a walk-in dry goods closet as well or I'd have piles of rice, beans, breads, spices and canned goods overflowing onto my dining room table. Cotton, white (so you can bleach the daylights out of them when needed), 16x19in- Great for sopping up messes, using as a potholder, wiping clean chopping boards and cleaning blades. I keep one on the counter and one hanging off my apron. 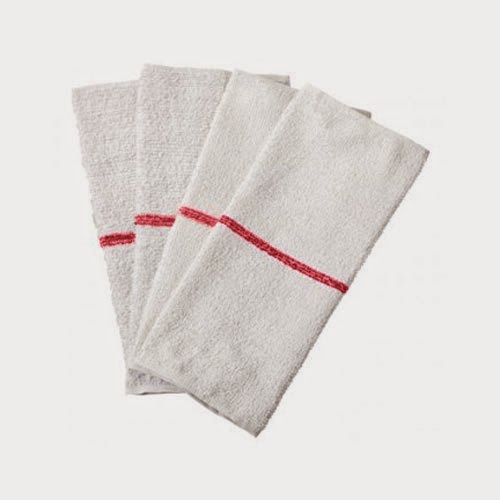 -Chef Revival Red Stripe 100% Cotton Bar Towel-12/Pack for only $10.49 here. 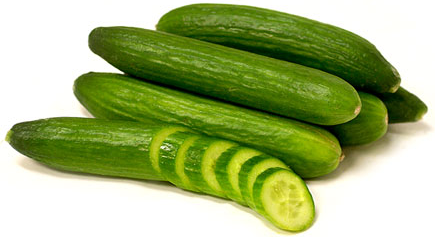 Easy to handle, sharp, inexpensive and can chop, slice or pound just about anything. I like the 5 inch version for everyday use. -J.A. 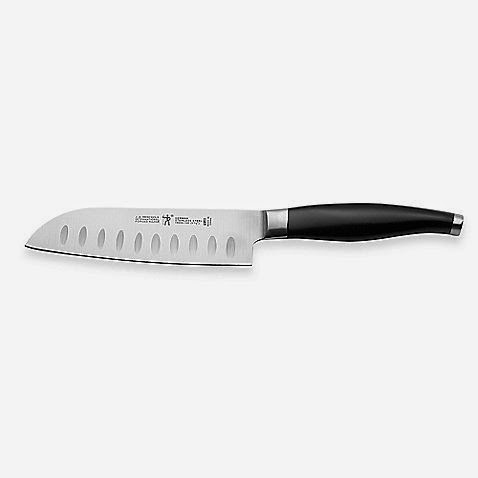 Henckels International Forged Razor Series 5-Inch Santoku for $26.99 here. This stuff cleans everything without using abrasive ingredients. Pots, pans, knives, sinks and so much more. Cheap and dependable since 1882. 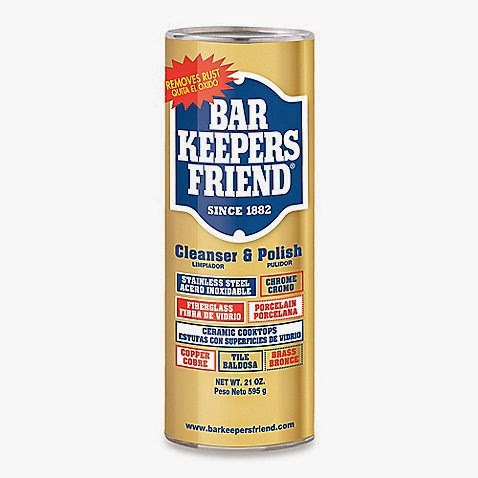 -Bar Keeper's Friend® 21-Ounce Cleanser And Polish $1.99 here. Perfect for grating/zesting everything from citrus fruits to fresh Parmesan cheese. 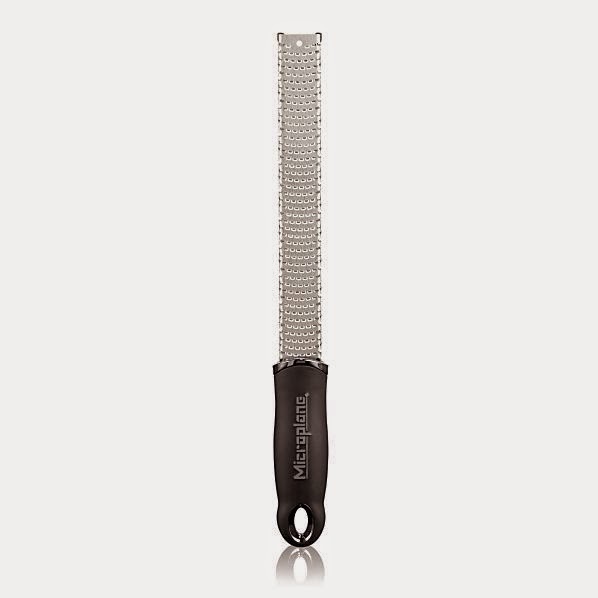 Helps make the rather tedious job of fine grating go quickly and cleanly. -Microplane ® Grater-Zester can be found here for $14.95. 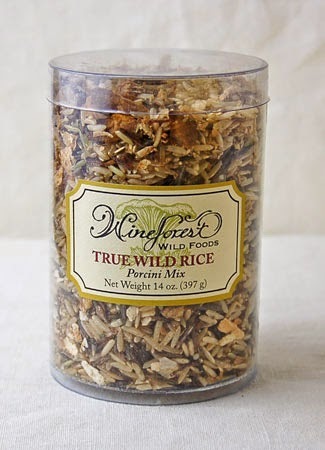 A mix of jasmine brown rice, genuine wild rice, dried porcini, dried shallots & parsley. Based out of Napa, CA too! Great as a side dish or a full hearty meal. -You can find this rice for $14.00 and all other sorts of treats on their website here. If I could eat this with a spoon, I would. We braise chicken in it, smother pork, sprinkle it on fries, simmer fish and sometimes just dash a little on garlic bread. Savory, zingy & spicy all at the same time. 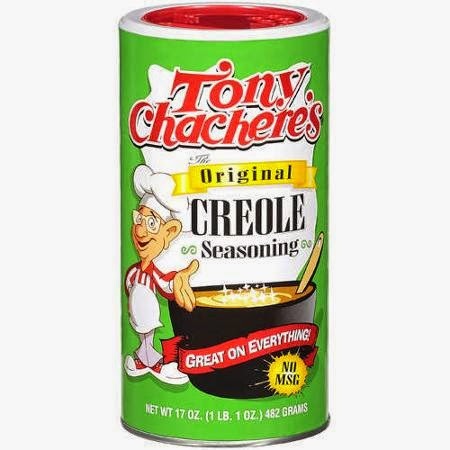 -Grab the original for $3.50 or check out the wide array of Tony Chachere's seasonings here. Ground fresh chili paste. 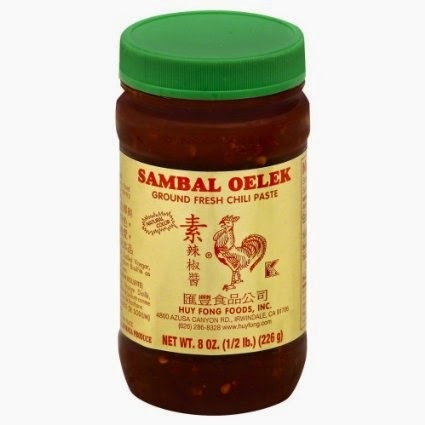 I use this in sauces, soups and if I'm feeling freaky, topped on a baked potato. Excellent combination of heat, vinegar & garlic to sass up subtle foods. A staple in our house. 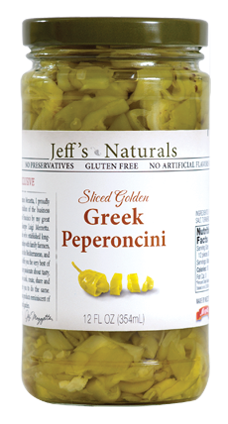 -Find it here for $5.99 or just take a trip to the grocery store and grab the biggest jar you can find. I've been obsessing over Thai curry lately, drowning rice noodles and fresh vegetables in a broth I make with pastes like these. Try steamed tilapia, mung beans and cilantro for a soothing winter bowl. -6 Can (4oz. 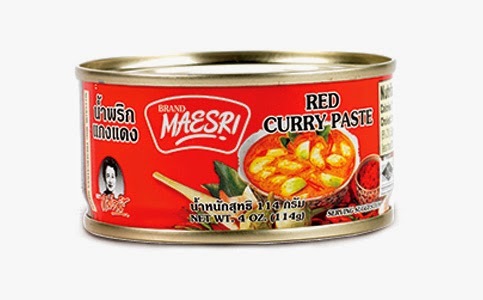 Each) of Thai Green, Red & Yellow Curry Pastes for only $17 here. Crunchy, cute, thin-skinned & nearly seedless, these cucumbers have taken the place of potato chips in my daily snack attacks. I slice them and sprinkle Maldon sea salt over them- such satisfying bites! Also great in salads or in place of lettuce on sandwiches. 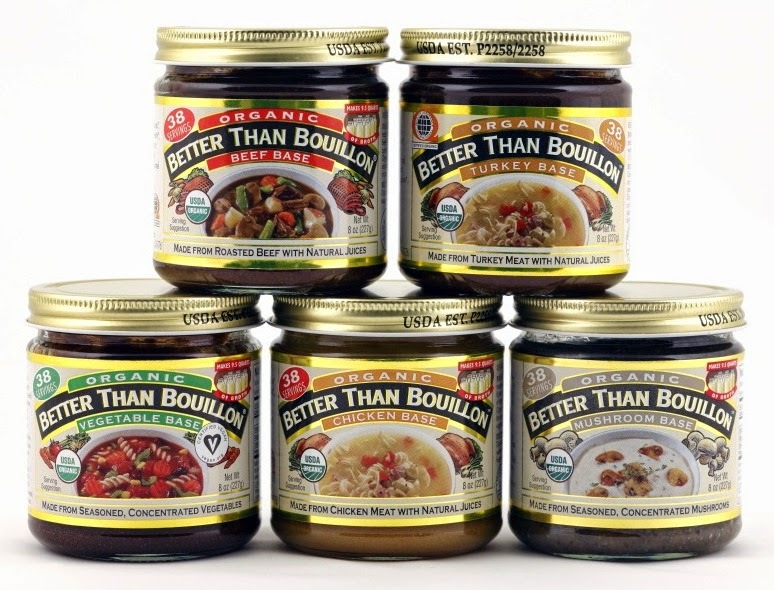 -Grab a container of 6-8 at Trader Joe's for $2.29! I might be one of the very few people who enjoys eating pepperoncini like candy, but hey, a girl's got her weakness. I love the flavor of these particular peppers, not too heavy on the vinegar. Jeff Mezzeta's family has been in the business for years, based out of the North Bay, using locally farmed produce for their products. -Pick up a jar for roughly $4 at your local market, Whole Foods or Sprouts. All natural beef, chicken, fish (and so many more!) flavor bases perfect for braising, roasting, creating stews or just giving oompf to whichever protein you choose. A little goes a very long way, so this jar is worth the dough. -Available just about everywhere for $8.50 a jar, so keep an eye out or click here. What are some of your favorite kitchen staples? Sixteen years ago, in the quaint town of Mendocino, my husband took a knee in the middle of a grassy field and proposed- this year we will be celebrating our fifteenth wedding anniversary together... Hard to believe that the time has passed so quickly. Our adventures over the years both as a couple and accompanied by friends have been full of laughter, great food, really good wine and unforgettable memories. Oddly enough, and much to the puzzlement of our native Mendocino friends, we haven't been able to return to that area of Northern California since that fantastic day in August of 2000. Time got away from us, calendars filled up and before we had even realized, our beloved beach town became further and further away. 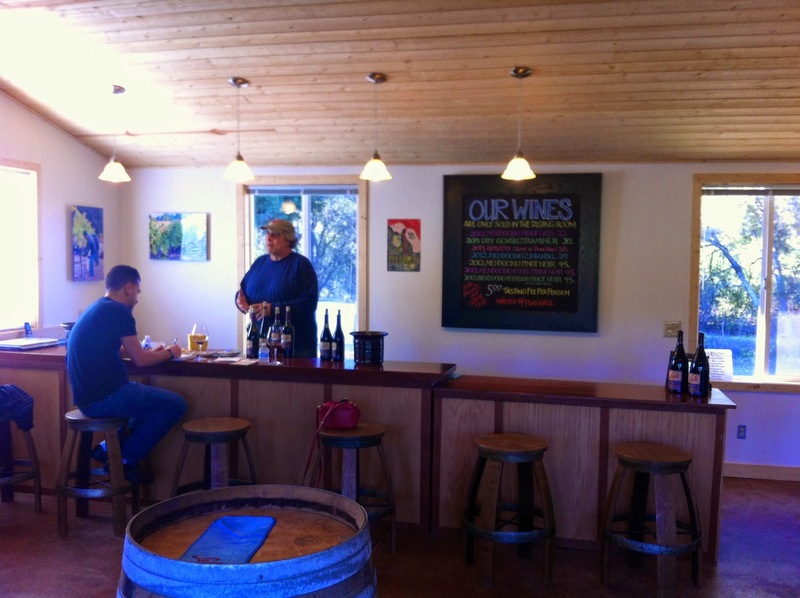 Located in the bucolic town of Philo, Calfornia (about 5 miles west of Booneville, smack dab in the heart of the Andersen Valley), Lula Cellars sits quietly along Highway 128, surrounded by rolling hills and dense redwood forests. An unassuming little red barn-like tasting room, complete with vineyard dog "Honey", await guests as they ramble down the gravel driveway. I immediately fell in love with the simplicity of the new tasting room at Lula: comfortable stools, a dog to play fetch with, a space heater to keep warm on a chilly day and of course, really good wine. Upon our arrival, we were greeted by one of our gracious hosts, Mr. Dan Reed, keeper of the homestead and wine gentleman extraordinaire. Dan pours at Lula Cellars pretty much every day of the week, so he's entirely immersed in Lula's wines and can lead guests on a tasting journey through the many different wine styles that Lula produces. We'd be staying with Dan on property for the weekend in Lula's refined rustic cabin, with 360 views of Anderson Valley's "deep-end" picturesque terrain. If you are ever in the Philo/Boonville area, keep an eye out for Dan as he can regularly be seen toting around town with Honey the dog in Lula's 1958 Morris Minor 1000. 100 miles away from home and worn out from a very winding road, we were both ready to settle in and make ourselves comfortable in our cozy little guest quarters. A slower pace of life forced us to sit back, relax and enjoy the view from the porch as the sun went down over the woods and vineyards. Not much to do, nor the need to do much when you are absolutely engulfed in the beauty that is Northern California. Ogling the clouds is a fine way to spend an evening and falling asleep to mist dripping on your tin roof from redwoods overhead is even better. 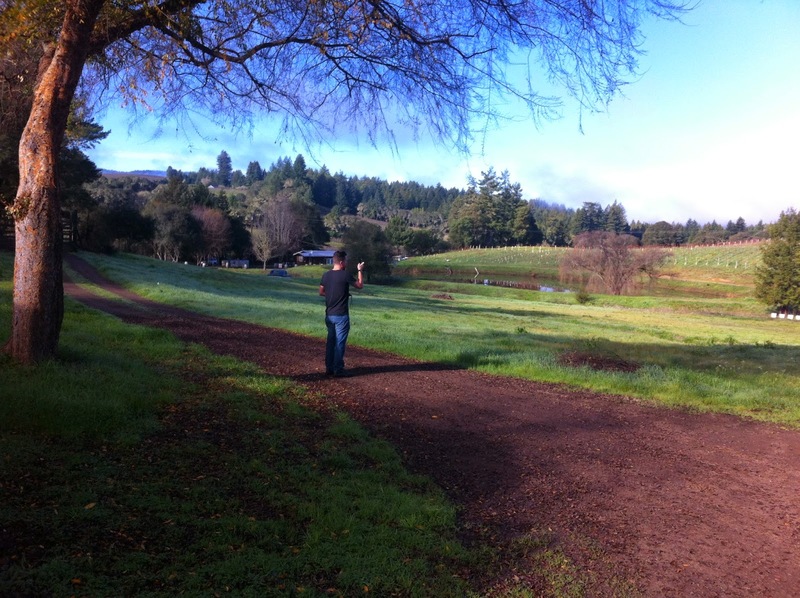 The next morning, we were up with the shining sun and found ourselves walking back down to the tasting room, eager to begin our tasting of the wines and also eager to meet Jeff Hansen, winemaker for Lula Cellars. "Jeff Hansen, winemaker for Lula Cellars, brings nearly 30 years of grape growing and winemaking experience to the brand. Jeff’s handcrafted, limited production Mendocino Coast Pinot Noir, along with Zinfandel, Dry Gewurztraminer, Pinot Gris and Rosato (Rosé of Pinot Noir) reveal the passion he has for producing world class wines." Jeff was great company- cheerful and witty, well-spoken and he very obviously possessed a wealth of knowledge regarding the Anderson Valley appellation. His casualness and warmth is welcome breath of fresh air, bringing ease and civility to sometimes otherwise terse wine tastings. Both the hubbs and I thought him entertaining and friendly, and the level at which he could speak about his wines, vineyard details and overall wine philosophy was greatly appreciated. It certainly didn't hurt that he had great restaurant recommendations as well, helping us with reservations and tips along the way. One of my favorites of our tasting was the 2012 Costa Vineyards Pinot Noir- with classic aromatics of tea and rose petal, deep plum flavors and a beautiful ruby color. "The five acre vineyard this wine comes from is a hidden jewel located in the mountain town of Comptche, which is eight miles east of the Coastal Village of Mendocino, 700 feet above sea level." Jeff suggested a nice Chicken with Mushroom Cream Sauce to pair with this elegant wine. Also high on my personal list was the 2013 Mendocino Rosato- ripe red strawberry, watermelon flavors and a crisp, clean finish. I'm a rosé girl, so I was immediately intrigued when I saw this beauty on the shelf. I was not disappointed. I'm not usually interested in Zinfandel, but Lula Cellars 2012 Mendocino Zinfandel was enough to change my mind a bit. There's a juiciness and fruitiness to this Zin that is in no way heavy or overpowering. Not too spicy either, which makes it distinctive in its own sense. A pairing to consider with savory Braised Lamb Shanks. 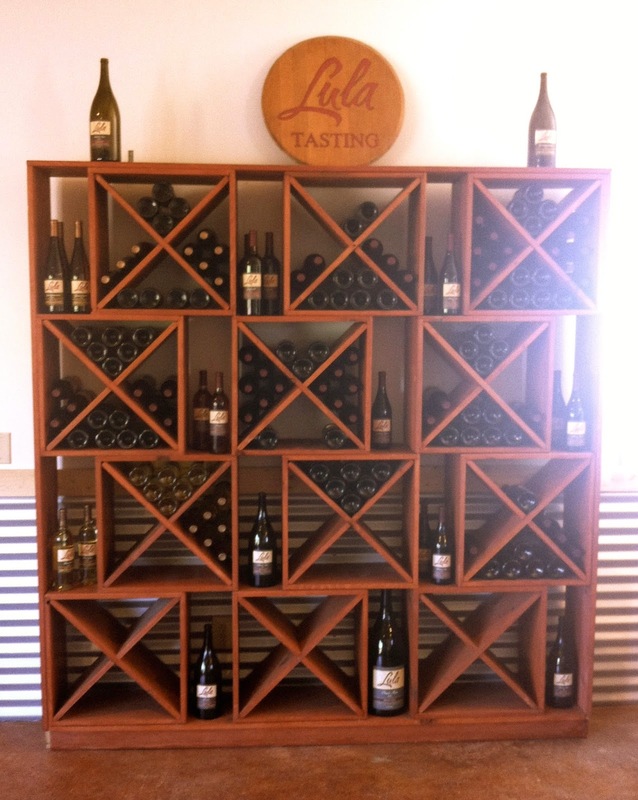 Another surprise from Lula is the 2012 Mendocino Pinot Gris- "The 2012 vintage marks the first release of Pinot Gris. The vineyard this wine came from is located south of the town of Ukiah, on the east side of Highway 101, a perfect climate for the varietal." Crisp, clean and citrusy. As a special treat, Jeff pulled out a round of the most incredible St. George cheese, made by the Matos family of Sonoma County. Enough to swoon over, I tried to escape with pockets-full of the buttery cheese, but alas, will have to make a special visit to the dairy on my own one day soon. So many thanks go to Jeff Hansen and Dan Reed of Lula Cellars for their generous hospitality during our visit. 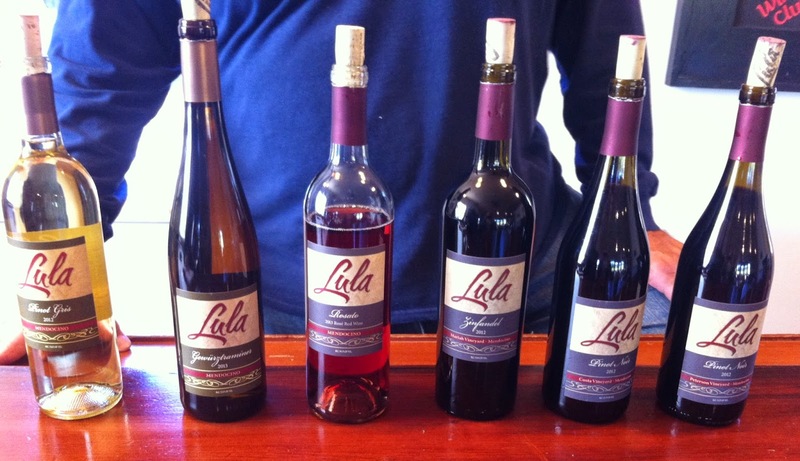 If you are interested in visiting Lula Cellars, they are located at 2800 Guntley Road in Philo, CA @ Hwy 128 and are open from 10am-6pm every day of the week. Stop by, say hello to Honey & by all means, nab a taste (or a bottle) of their dreamy Anderson Valley wines. Goodbye 2014... You were a weird one. I'm embarrassed to notice the date of my last posting. Hello friends. I told myself that beginning today, I would get back in the saddle and continue my writing fervently and with newfound enthusiasm. After the year I've had, I'm ready to start anew and move forward with my passions. Food, travel, nonsense and debauchery? Let's do this. This past year was full of so many losses, I feel I can only begin this year with a hopeful heart. I want things to be easier, to be happier, to be more positive and lovingly comfortable. We are now truly at home here in the Napa Valley and I want my writing to reflect all of the good I am surrounded by on a daily basis. The hubbs and I have some really interesting and wonderful trips coming up in the near future that I'm just itching to write about and photograph. Along with my usual banter, the occasional pug photo and perhaps a recipe or two, I will be adamantly focusing on the good life- our good life, one that we're working very hard to maintain, enjoy and share with others. Wave bye-bye to the negative. It is time to bring forth a smile. 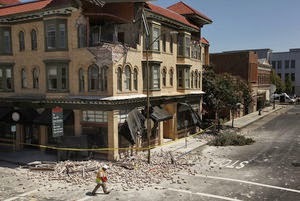 As everyone is well aware, the Napa Valley was hit hard by a rockin' 6.0 earthquake this past month, leaving much of downtown Napa and its businesses in shambles. Over the recent few weeks, people have been working tremendously hard to regain strength, shelter and safety amongst the chaos of our crumbled tourist mecca. Restaurants, shops, services and staffing have all been affected by mother nature's furious rattling- some have closed completely, some are in limbo, some haven't even started to discover what lies ahead. Red, Yellow and Green tags stare back at your reflection in the windows of almost every downtown address. It's hard to comprehend until you see it in person, but I've settled on the idea that the streets and sagging buildings somehow resemble the leftover remnants of a once glamorous Hollywood sound stage. And the wineries... Oh, the wineries. 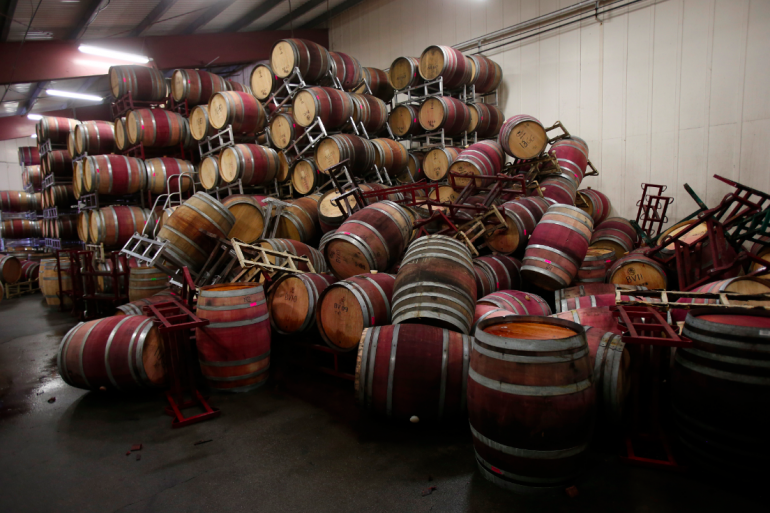 Of course not all were impacted by this whopper of wiggle, but so we've heard so many stories of crushed barrel rooms, wine flowing like rivers down the drain and simply impassable cellar doors being jammed shut by mountains of livelihood-- like Lincoln logs falling to the ground, gallons of precious wine have been lost. The hubbs and I feel extremely lucky to have came out relatively unscathed-- our apartment was tossed absolutely upside-down and we kissed goodbye to most of our breakable belongings. The days following were rough indeed, but in the end, we are safe and things are just things. Not all can be replaced, but we are hoping to move forward and replace the old memories with new ones. We have fallen absolutely in love with this magical valley and we continue to rebound, grow and live full lives amongst our many friends here. Part of supporting our community mean getting out and supporting local businesses, especially in this crucial time of healing. Local folks need our help and love. Whether it is just a hug and a smile or laughing over lunch or a just an extra bill in a tip jar, we've been trying to spend as much of our free time as possible out and about our beloved town as we all regain our pre-earthquake confidence. Don't stay away because you think we've fallen apart. Don't pass over wine tasting because you think the tasting rooms are closed. Don't cancel your reservations and say you'll come another time. 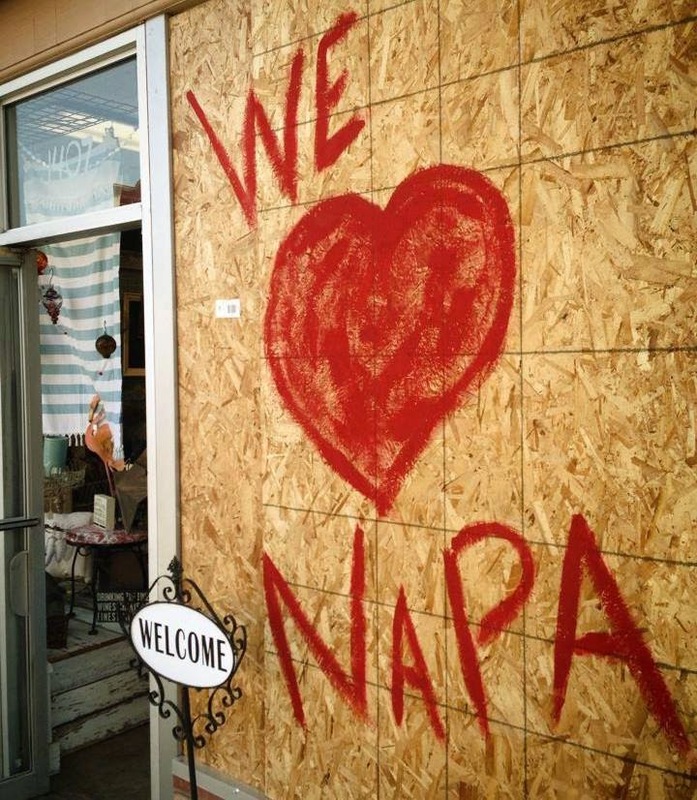 Napa needs you. Napa needs some good, good lovin'. Come say hello. 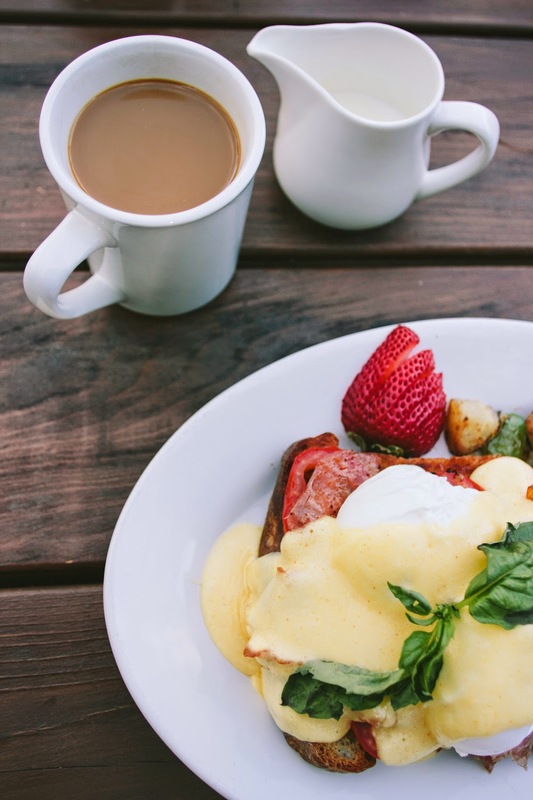 Come for the excellent pizza, pasta and excellent breakfast. Bring friends, have a relaxed brunch, enjoy a beer out on the patio or a cocktail at their rustic bar. Smiling faces and great comfort food, not to mention some killer happy hour deals. 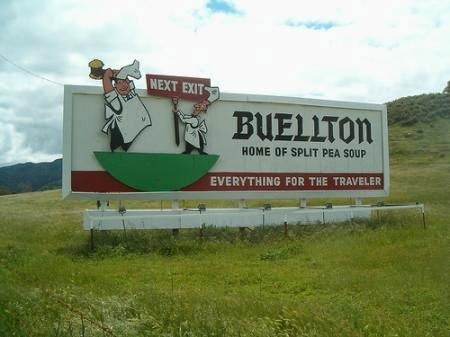 Home of the famous "cheese skirt". Need I say more? 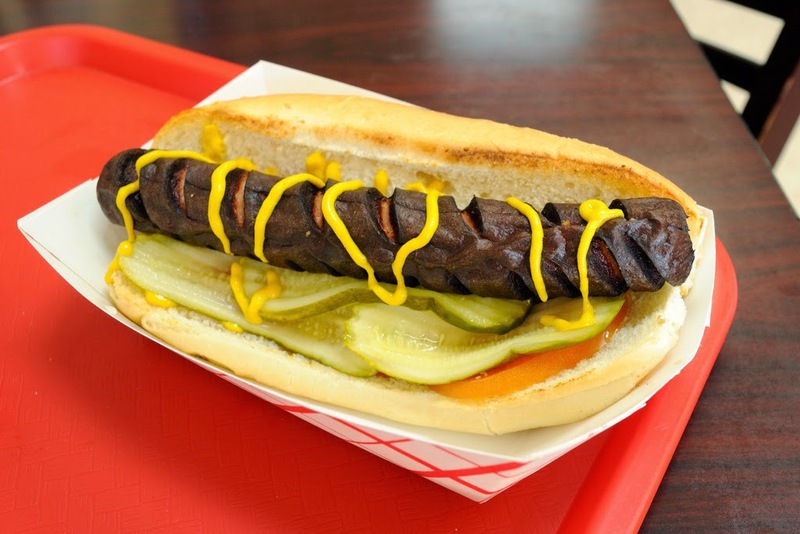 Oh, and their deep-fried hotdogs are to die for. Super casual, fast and beyond tasty- you'll get addicted just like we have to their burgers, fries, dogs, sandwiches and beer specials just like we have. It's so unfair. 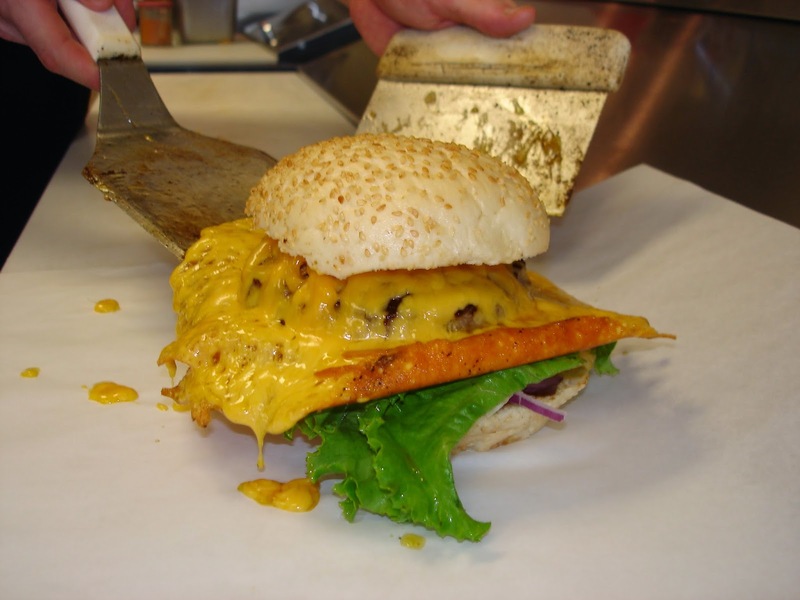 I wake up on weekends absolutely craving a squeeze with cheese. 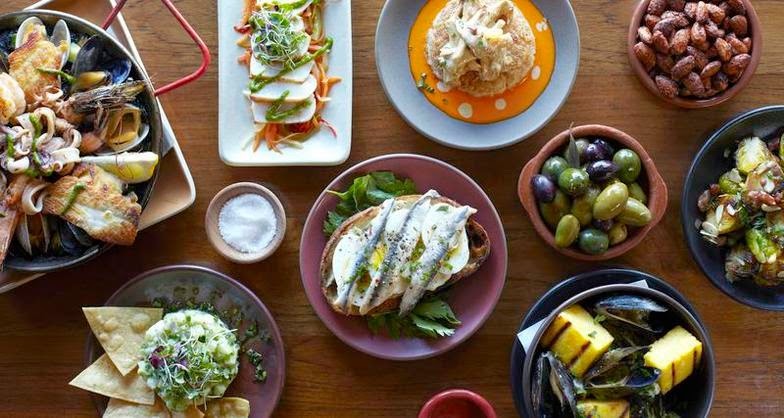 Craving tapas? This is a must visit. Super authentic Spanish tapas & hard to find Spanish wines tucked into a small, cozy loft-like space. 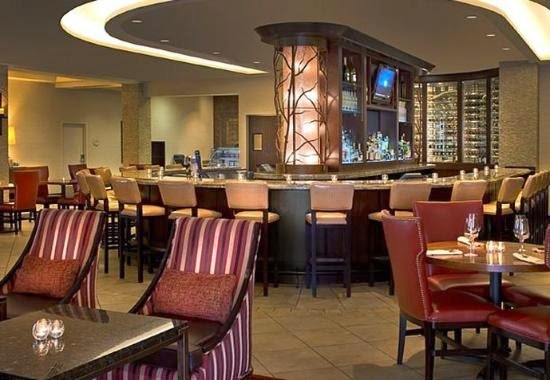 Sit at the bar and enjoy a snack or relax and have chat with friendly bartenders. 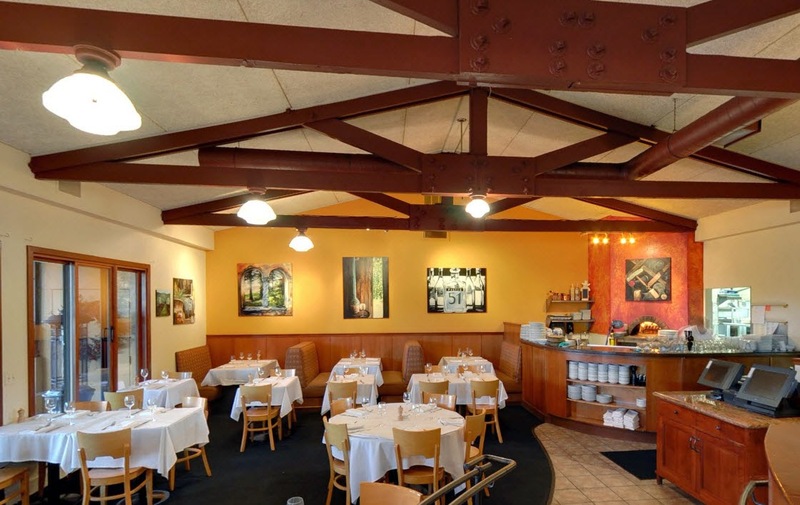 Share a family-style table with friends upstairs and eat your way through the extensive menu. Beware, no reservations here but they'll do their best to get you in fast. Specializing in truly authentic Napoletana pizzas, this place will ruin your for life. 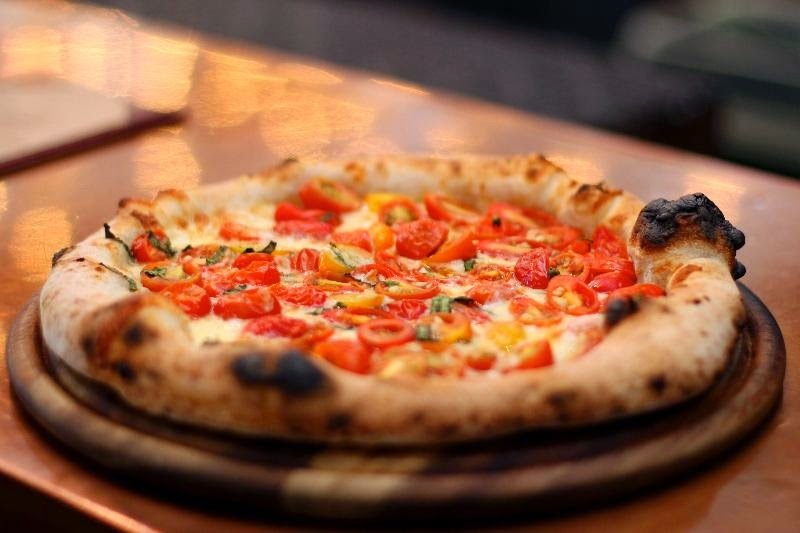 The hubbs and are obsessed with sitting on their patio for dinner and revel in the super fresh ingredients they use of their stunning pizzas. 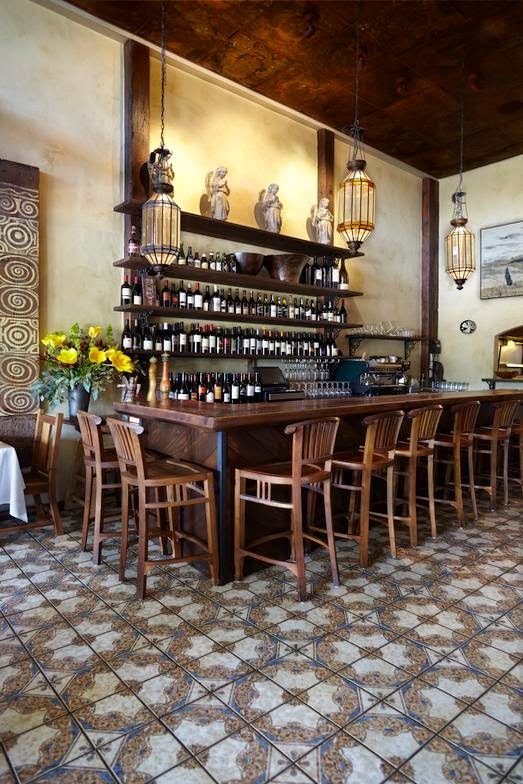 Pasta, antipasta, soups and selection of interesting wines await you at this small oxbow gem. Afraid to eat at a hotel bar/restaurant? Don't be. Located inside the Napa Valley Marriot, these guys know what they are doing. With everything from sliders to lettuce wraps to my favorite, the goat cheese stuffed peppers, they've got something for everyone. Local wine & beer list, super friendly staff and strong cocktails make this our home away from home. 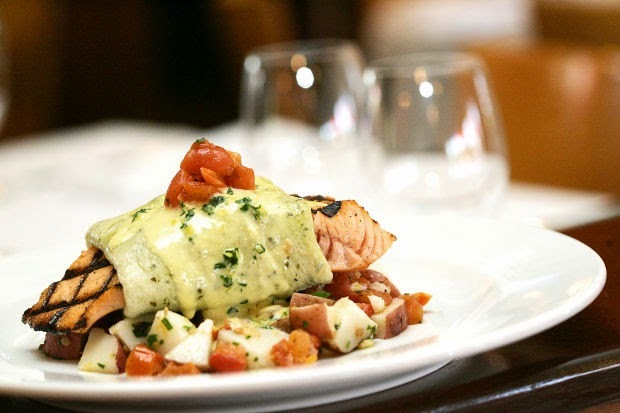 As favorite spot for locals serving seafood, pasta and steak at a reasonable, tasty price. 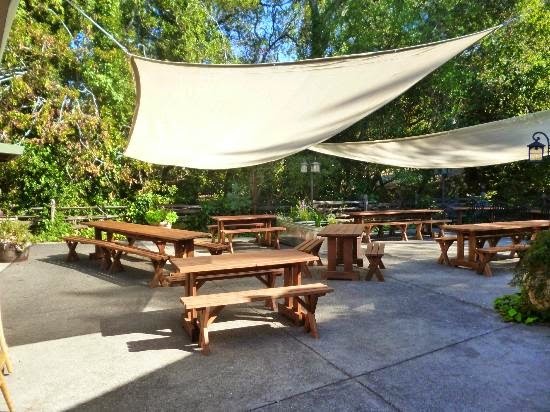 They have a great outdoor patio with fireplaces and are pet friendly! Awesome happy hour deals and darling little bar create a big draw on weeknights. Great local wine list and corkage is on them if the wine is from the valley. I've run out of time for now, but believe me, I'll be back with more local favorites soon. There's a fresh batch of tacos on the stove calling my name... Stay tuned for our Yountville and Calistoga picks, as well as some secret winery spots that you'll definitely want to explore. 2014 Wine Bloggers Conference- Intro. Just a few weeks ago, the hubbs and I packed our bags and headed down to beautiful Santa Barbara county to attend the 2014 Wine Bloggers Conference in Buellton, California. Having missed the previous year in Penticton, British Columbia, we were excited to be joining our hundreds of fellow writers on California's central coast to sip, savor, discuss and discover wine from SB county and circling the globe. With so much of the conference to cover, I really had to edit my photos and stories down to a select few due to sheer capacity of wines tasted and fun had. From the various appellations in Santa Barbara county alone, to Portugal and Spain, it was delight to sample so many unique wines amongst some of the best citizen and industry wine bloggers around. The hubbs is an old hand at this event, having attended six of only the seven overall conferences, but this time I was in tow- not quite sure what to expect (since I'm not exactly labeled a wine blogger), but thrilled to be attendance nonetheless. Oh the glory that is Pea Soup Anderson's . What is there to say about this magnificent place? It's an institution amongst those of us who had to endure the long journey between Northern and Southern California on a regular basis during our youth- a beacon of solace in a sea of pea green wonderment, decked out with wooden shoes and cuckoo clocks, a putting green, tiny swimming pool and giant neon soup bowl. We were able to snag a room here for a great price and with the recent renovations, it wasn't too bad at all for a few nights of wine soaked sleep. Clean, comfortable and quirky, PSA was our homebase of sorts for the length of conference. It suited us well and was just a short & sobering five minute walk from the Santa Ynez Valley Marriott, where the conference was being held. Pre-check in to the conference and post our six and half hour drive from home, we needed some sustenance and refreshment to help prep for the days to come. It is here we discovered an oasis of hops and ale, a dark and metallic cave of coolness, the fantastic Firestone Walker Taproom. A taproom that will haunt me endlessly as I sit up here in the north, unable to waltz into the modern, yeasty, air-conditioned heaven. "The Taproom specializes in brewhouse bistro cooking with an emphasis on local flavor. The Taproom is ultimately an extension of the Firestone Walker brewing philosophy—the finest and freshest ingredients, prepared with care and presented from a distinctively regional perspective." 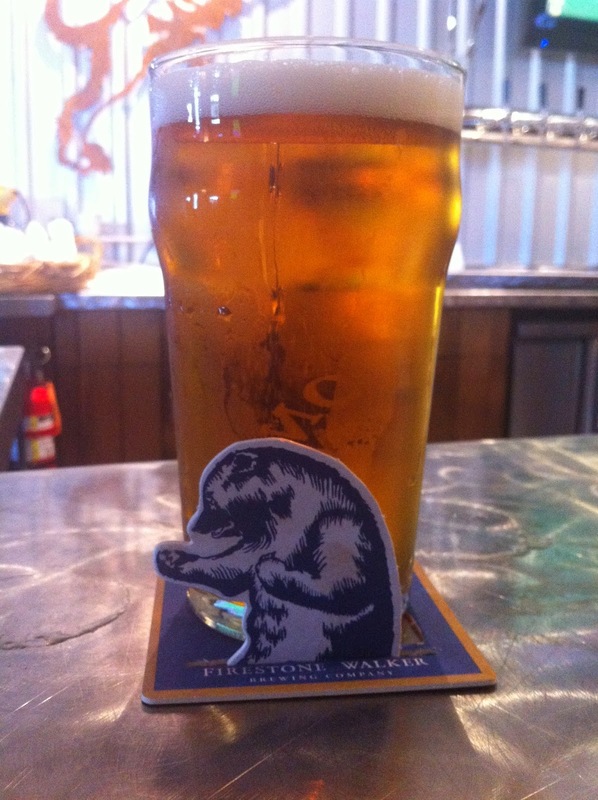 "The Taproom features our four award winning Firestone Walker beers in addition to eight alternating beers on tap. Patrons of the bar may enjoy 1/2 pints or imperial pints of our beers." And so we did. We started with lunch and a few different pints of frothy goodness. We shared one of their Cobb Salads with local greens, chicken, tomato, avocado, bacon, bleu cheese, egg & ranch dressing and split a plate of the Seared Ahi Wontons with pan-seared rare sushi-grade Ahi tuna, served with Asian slaw, avocado & crispy wontons. Both dishes were exceptional, considering the that pub food has the tendency to be too heavy and greasy- the cobb salad was seasoned well, presented nicely and tasted fresh and crisp. The seared ahi was delicious and delicate, pairing very well with my tall glass of Firestone Walker 805 Beer. "A beer crafted for the coast. 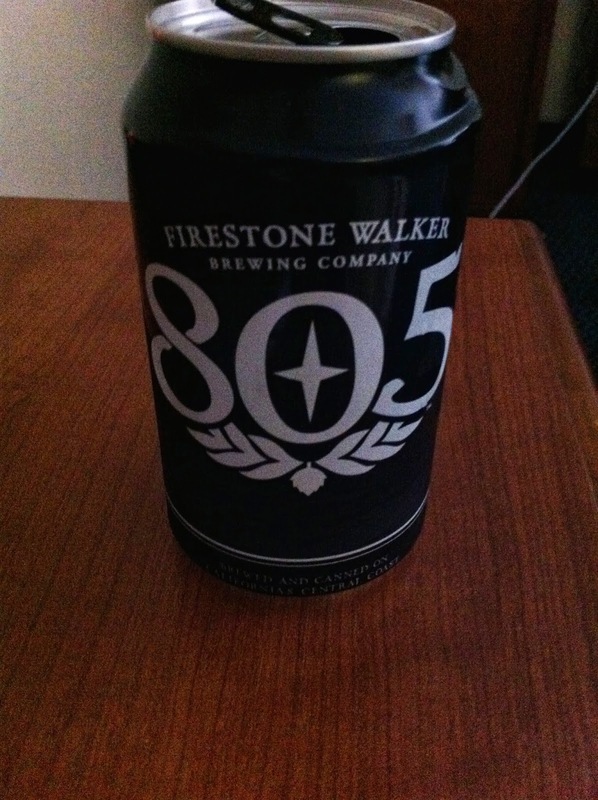 805 is a light, approachable brew. Born from an all malt recipe and finished with a touch of hops, it's slightly sweet with a clean finish. 805 is the perfect followup to that ultimate surf session or to reward a hard day's work." This beer is addictive. Like summer in a can. I've already researched where it can be found up here in Northern California and was thrilled to learn that we'll be able to get our hands on it within a few miles from home. Hooray! Thank goodness for that. We can stock up and bring to all of our favorite summertime bbq's and pool parties- such a great match for grilling and chilling this season. With over 40 beers under the Firestone Walker label, it's hard to choose just one. For you brew junkies out there, check out www.firestonebeer.com for more info on the brewery, the taproom, the barrelworks and where you can find your own 805. Trust me, you'll be happy you did. On a sun-drenched Monday afternoon, the hubbs and I found ourselves rambling down the road deeper and deeper into the heart of Carmel Valley. After a the hustle and bustle of a busy weekend and a relaxing Sunday stay at The Quail Lodge, it was time to head towards our destination, located high above Carmel Valley Village. We were on our way to visit the beloved Holman Ranch- a huge homestead, winery and event location perched like a modest castle amongst the oak trees and rolling hills of the valley. Rich in history and well known for its rustic hacienda, sprawling gardens and breathtaking vistas, Holman Ranch shines as a beacon of beauty in the majestic Carmel Valley appellation. "The story of Holman Ranch is truly unique; a special story about a wonderful place that began when California was still part of Mexico. Under the Crown of Spain, the ranch was part of the lands bestowed to the Mission San Carlos Borromeo del Rio Carmelo. When the Mexican government secularized the mission lands, one of the first ranchers in Carmel Valley, Don Jose Manuel Boronda, was granted the Los Laureles Rancho—6,625 acres that included what is now Holman Ranch. Their ranch passed through many hands until the Pacific Improvements Company acquired it in 1882. In 1928, a San Francisco businessman, Gordon Armsby, was attracted to the rich farmland and leisurely pace of Carmel Valley, and purchased 600 acres in the Los Laureles area of the Valley, including what would be Holman Ranch. Armsby hired Clarence Tantau (of Del Monte Hotel fame) to design the home that would reside on his new property. Tantau and Armsby chose a classic Spanish-style hacienda, which proffered impressive stone walls—all built from local Carmel stone. They installed handmade Mexican terracotta roofing and hand-carved oak-beamed ceilings. Nestled in a stand of mature oaks, nicknamed “Casa Escondida”, or “Hidden House”, the estate served as an exclusive hideaway for many Hollywood celebrities including Charlie Chaplin and Theda Bara." As we reached the entrance to the ranch, located up rural Holman Road (of course)- a modest sign greeted us, along with a cow crossing and creaky steel gate. Our jaws dropped when we rolled to the top of the dusty road, marveling at the expanse of the ranch itself. We slowed the car to bask in our surroundings and took deep breaths of the fresh Carmel Valley air. I was overcome by sense of calm and serenity, much needed after a hectic few months of scheduling and social chaos. Acres and acres of rolling green hills, horse stables big enough to hold nearly one hundred beasts, a shimmering lake surrounded by olive trees, beautiful oaks towering over brightly painted barns and outbuildings... It was like a rancher's dream world, all country and sky. Endless as far as the eye could see, you would never know that Holman Ranch existed so closely to touristy Monterey or crowded Carmel-by-the-Sea. This place, alone in the hills, is the very definition of bucolic paradise. "Tucked away in the rolling hills of Carmel Valley, historic Holman Ranch provides a unique and memorable setting for weddings, special events, family gatherings, corporate retreats, and team-building events. With its charming gardens, stunning mountain views and serenity, this private estate affords old-world charm while providing modern day conveniences. This impressive property includes a fully restored stone hacienda, overnight guest rooms, vineyards, olive grove, horse stables and a tasting room where guests can sample our wines." 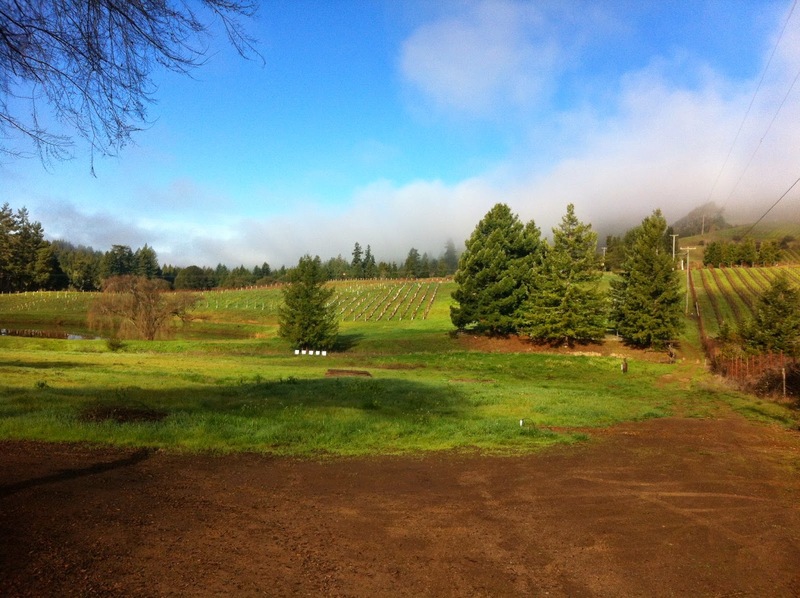 "100% estate-grown wine varietals are planted on approximately 21 acres of undulating terrain. The wines produced are unfined and crafted to deliver the true varietal of the grape from harvest to bottle. The climate and terroir of the appellation has played a critical part in the success of our wines. The warmth of our inland valley coupled with the cooling marine layer has established itself as an ideal microclimate for the production of Pinot Noir and Pinot Gris. Our Burgundy Clones have thrived from the perfect blend of ideal climate, southern exposure and thin rocky soils. 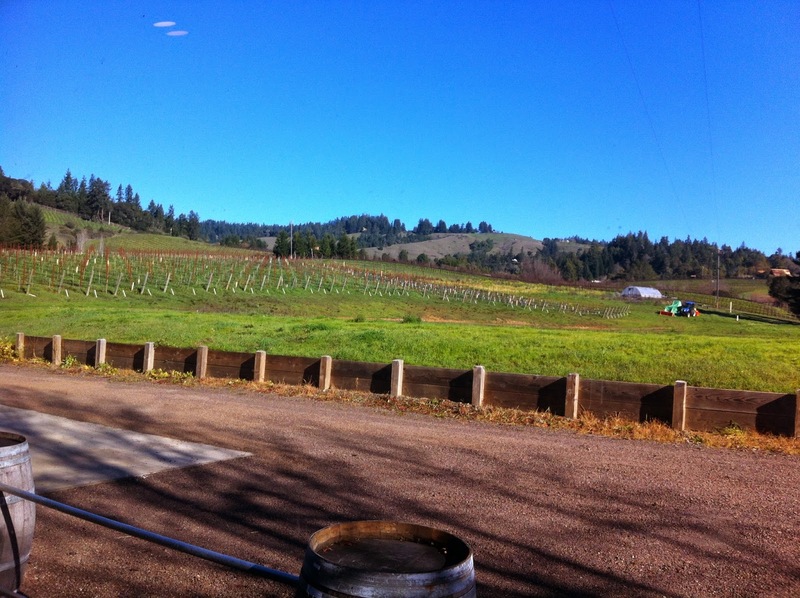 The estate wines of Holman Ranch include: Pinot Noir, Pinot Gris, Chardonnay, Sauvignon Blanc, and Rosé of Pinot Noir." At the very tip top of highest hill on property lies a hacienda, the crown-jewel of Holman Ranch. Flanking that hacienda are quaint accommodations for overnight guests (reserved for wine members & event attendees only)- our home for that particular evening. Our room was rustic and charming, decorated in an old Western theme, complete with cowboy boot lamps. Clean, comfortable and completely private with perks like front porch rocking chairs and expansive valley views, this certainly was no bad way to spend the evening. We settled in and met up with the rest of our fellow media companions to enjoy a tour. The main interior walkway- perfect for weddings and large outdoor events. The unique beauty of the Holman Ranch venue is that the various spaces can be completely customized to suit your individual needs. Notice the dual-entry carriage house in the distance? We were treated to a twinkle-lit buffet dinner that evening inside. Perfect area for a dance floor! Often used for receptions, with it's barnwood floors and country charm. A beautifully manicured lawn is the perfect setting for an outdoor wedding, with one of the most spectacular views of the entire Carmel Valley. The gardens are impeccably cared for, with native plants, fruit trees and shrubs. Steal a moment in the shade of the giant oak trees or bask in the blaring sunshine on top of world. Guests of the Ranch are also welcome to take a dip in one of the oldest, most historic "in-ground" pools in existence within the county. This pool served as a day spa getaway in the early 20's for those privileged enough to visit. Walkways wind around the property, making for a delightful afternoon stroll and enchanting background for photography. Horseshoes pits, a relaxing pond and an entire private game room are also on the grounds for your enjoyment. The love and good energy Holman Ranch exudes can be seen and felt in every aspect of it's existence. Wandering- what I do best. Roses planted as part of the original Hacienda, with blooms as big as softball. The scent was intoxicating. "Holman Ranch is full of romance and history. It is rustic and sophisticated, secluded and amazing. This stone hacienda offers the charm of its native gardens, the breathtaking vistas from every angle, the wonder of its olive groves and vineyards as well as the serenity and privacy of the historic estate itself. A world away yet close enough to everything our guests could need or desire, Holman Ranch offers unlimited possibilities for weddings, family reunions, corporate retreats, and any other special occasion. Holman Ranch is a place for togetherness, celebration, good friends, and family. It is truly the perfect place to create great memories." "An old-fashioned game room equipped with all the modern amenities. A pool table, dart board, plasma TV, bar, jukebox, roaring fireplace and antique bar to entertain and amuse guests." "A rustically elegant space with a lofty, open-beamed ceiling, perfect for dancing or dinner for your event." "Classic Mission architecture with original terracotta tile and beautiful views of the gardens greet you upon entering. A perfect location for intimate dining, enjoying cocktails, or lounging by a roaring fire." "Our fully furnished conference room offers a complete, modern and integrated system including a drop-down screen, projector, Wi-Fi signal, conference phone and sound system." "Our private Hacienda chapel is beautifully adorned with relics salvaged from abandoned churches. Serene and intimate, this space is perfect for a ceremony of up to 50 people. Baptisms, blessings and memorials are also welcome in our chapel." 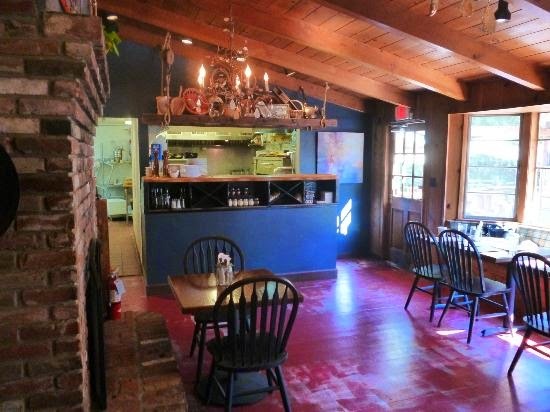 The ranch's tasting room is located at 19 E. Carmel Valley Road, Suite C, Carmel Valley, CA 93924. You can visit the tasting room to sample their wines, get more info on their wine club and find out more about how to plan your event at their stunning property. Eat well, Cook well, Be well. Picture Window theme. Powered by Blogger.